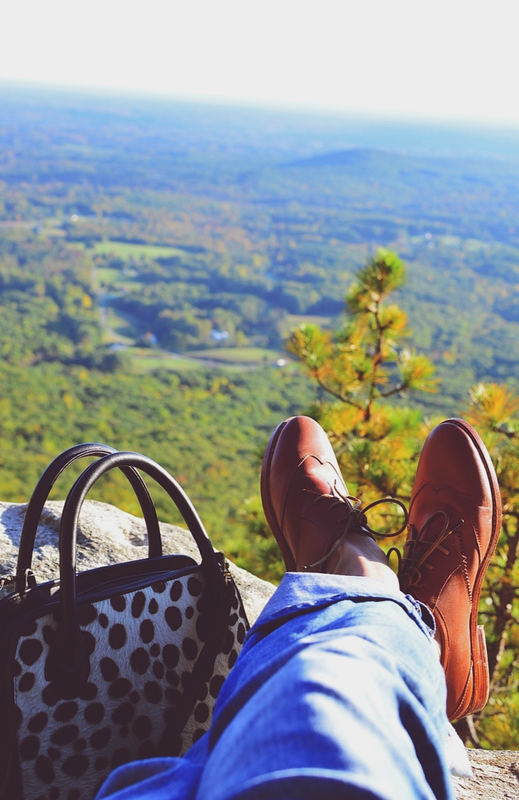 This past Wednesday, my boyfriend and I headed to Pilot Mountain in NC to enjoy the beautiful view and also to take some photos for the blog. If you follow me on Instagram you probably saw the sneak peek of this photo shoot. We had a wonderful and quiet time. 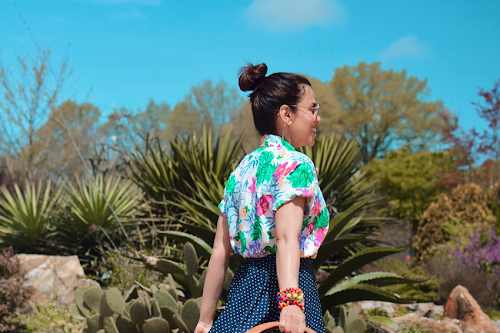 The weather was perfect, so we enjoyed a brief walk through the woods while we contemplated Mother Nature and at the same time, we were able find neat places for pictures. 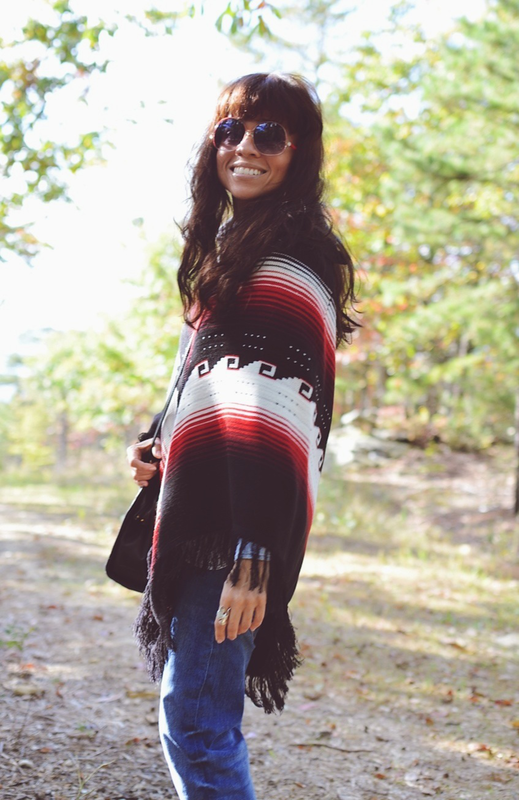 For the occasion, I decided to sport this vintage poncho with Southwestern pattern. Now, let's get this straight, I love Clint Eastwood and all his Spaghetti Western movies, but that doesn't mean that I want to recreate their looks. 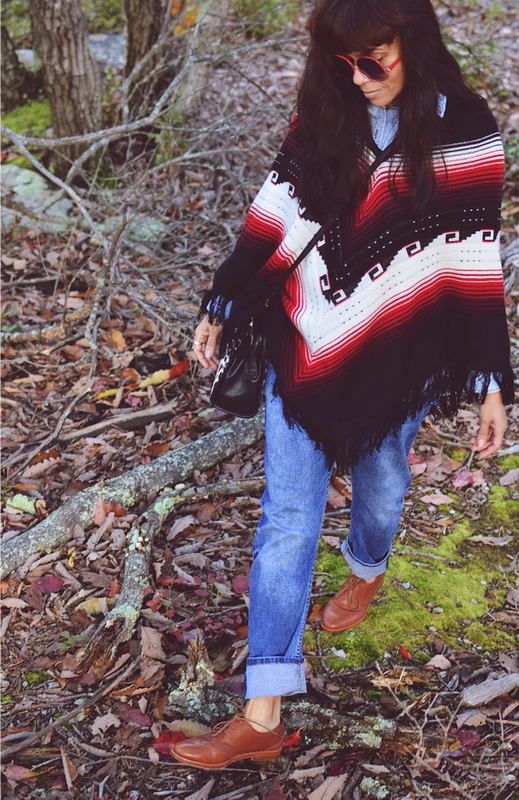 The last thing I want to do, is to wear this Southwestern poncho with boots and a wide brim hat. 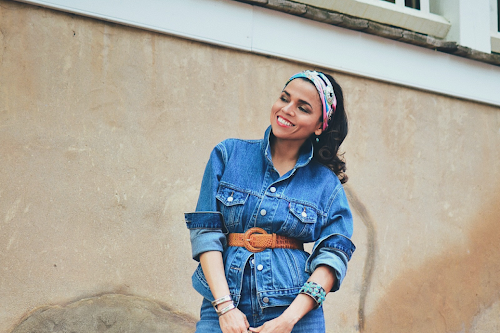 I'm pretty sure that style is already taken by "The Good, The Bad and The Ugly"…lol. 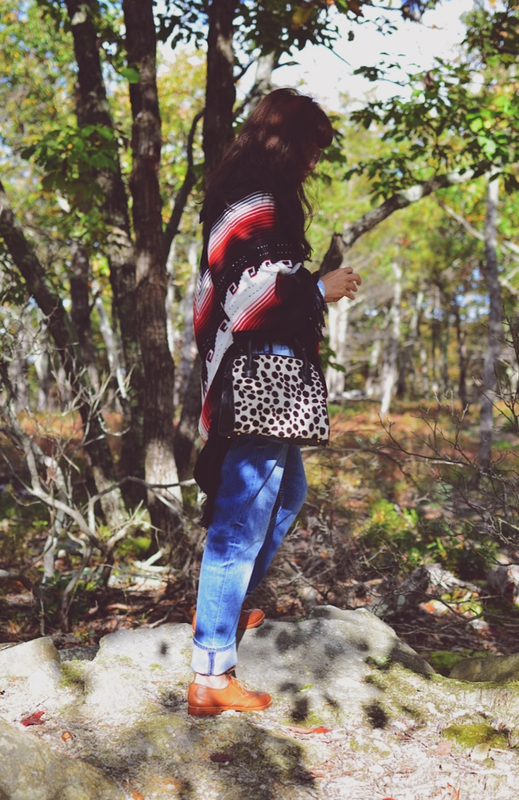 I truly believe that a pair of brogues and a leopard bag were less costume-y and more modern choices for my cozy poncho. El miércoles pasado mi novio y yo nos dirigimos a Pilot Mountain en Carolina del Norte para disfrutar de la hermosa vista y también para tomar algunas fotos para el blog. Si me siguen en Instagram probablemente vieron el adelanto de esta sesión de fotos. Pasamos un rato maravilloso y tranquilo. Las temperaturas estuvieron perfectas, así que disfrutamos de un paseo breve por el bosque mientras contemplábamos la Madre Naturaleza y, al mismo tiempo, encontramos lugares bonitos para tomar fotos. Para la ocasión, me decidí ponerme este poncho de vendimia con un estampado del sudoeste. Sin embargo, puedo amar mucho a Clint Eastwood y todas sus películas de Spaghetti Western, pero yo no quiero tratar de simular su vestuario. 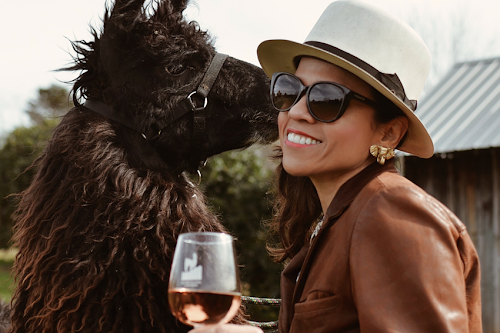 No tengo la intención de usar este poncho del oeste con botas y un sombrero de ala ancha así como lo hizo el. Yo creo que este estilo ya fue tomado por los artistas de la película "El Bueno, El Malo y El Feo"… lol. Bueno, un par de mocasines pintosos y una bolsa de leopardo parecieron ser las opciones más interesantes y modernas para mi ponchito acogedor.. Right now, I am obsessed with animal prints mixed fair isle, nordics and tribals patterns. Ahorita estoy obsesionada con la combinación de estampado de animales con estampados de nórticos y tribales. Lo Maya dentro de mi. Best brogues ever!!! No socks and blisters free feet. Los mejores mocasines!!! Sin calcetines y los pies sin empollas. 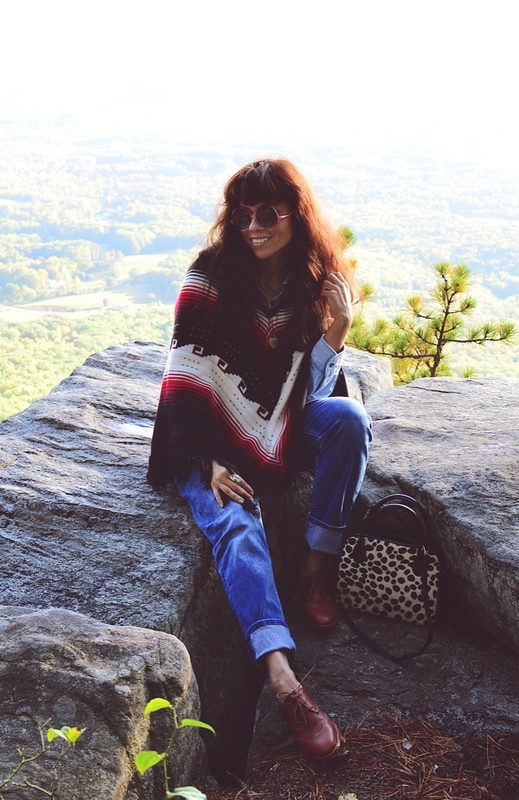 Poncho: Vintage (vintage) from Honey Pot Boutique in Asheville, NC. 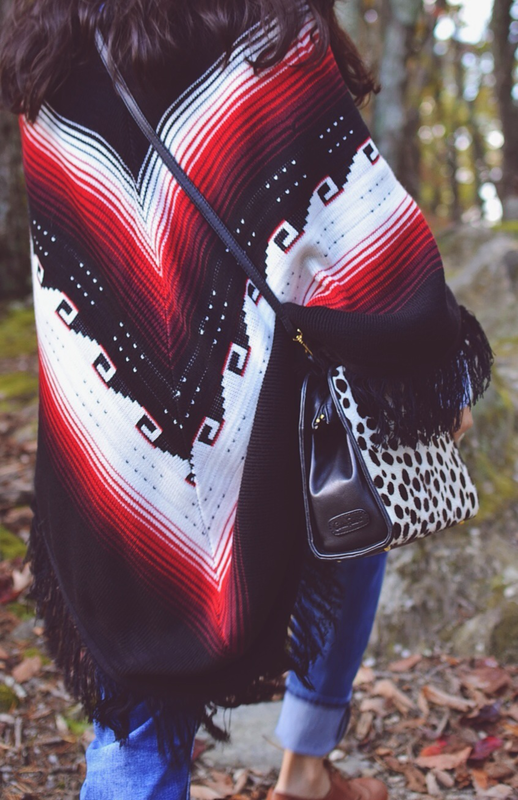 I am in love with ponchos and yours is really beautiful! 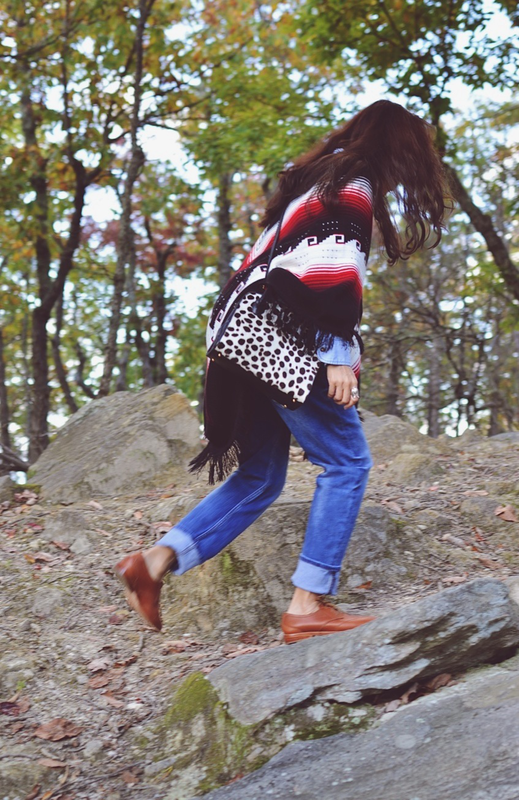 You look so stylish hiking up the mountain. The view is just incredible! I live in a mountain area myself and the autumn seson is the most beautiful for walking and hiking. Aww thanks so much Annette! Isn't beautiful life near to the mountains? I grew up at the coast, so I really appreciate de mountains here in NC and this time of the year as you said they are so beautiful. Thanks so much Natalia! I'm glad you like it. It's a really cozy piece. Thanks!! I really enjoyed this trip.